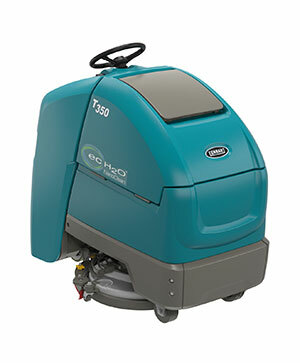 Disk or cylindrical scrubbing, ranging from 40 in to 52 in cleaning paths. 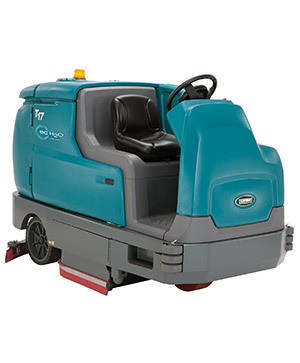 Maximise your time and floor cleaning capacity in the harshest industrial locations by cleaning a 7-8 hour shift in economy mode, on a single charge. Clean up to three times longer with a single tank of water using Tennant's innovative ec-H2O. Patent-pending water recover system leave floors virtually dry, reducing slips and falls. Provide an easy operator and maintenance experience with easy-to-use controls and yellow touch points that provide quick identification to maintenance locations. Get superior cleaning performance from your T17 with TennantTrue® Parts that have been designed specifically to help maximize cleaning effectiveness in one pass and achieve better cleaning performance at a lower total cost. Achieve better performance while lowering costs associated with rework, labor, safety and maintenance by using genuine TennantTrue® brushes, specifically designed for your T17 machine. Don’t settle for less - choose TennantTrue® brushes! The squeegee is one of the most critical parts on your T17 Sweeper-Scrubber. Only genuine TennantTrue® squeegees are designed specifically to fit with your T17 machine to deliver exceptional liquid collection and pick-up for optimal cleaning performance. The correct fit helps reduce downtime and service calls, lowers labor costs and puts money back into your business. Variable Drain Valve™ System prevents messy clean-ups and overflows with the easily adjustable tank drain valve. Touch-N-Go™ control module, with cleaning controls placed in the centre of the steering wheel, allow the operator’s attention to face forward. Recovery tank step provides easy access and visibility into the recovery tank for clean-out. Maintain a high standard of consistently clean floors in your building with a high performance scrubbing system that delivers significant cleaning power. 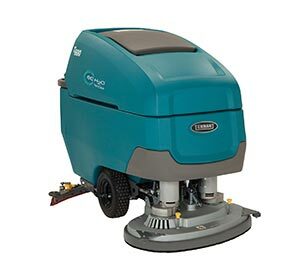 High performance scrubbing system delivers significant cleaning power to help maintain a high standard of consistently clean floors in your premises. Dura-Trak™ System with a swinging parabolic rear squeegee provides uniform suction across the squeegee blade for exceptional water pick-up. Patent-pending water trap reduces spills at shut-down, leaving your floors clean. QA Controls® provide consistent, cost-effective cleaning results by locking in the ideal machine settings and reducing operator errors. 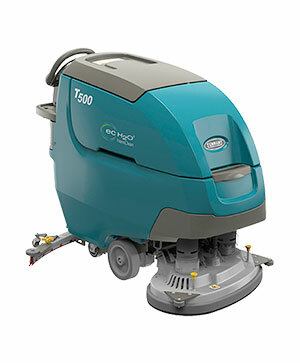 Clean virtually all day on a single charge and reduce costs with maintenance-free scrub and propel motors. 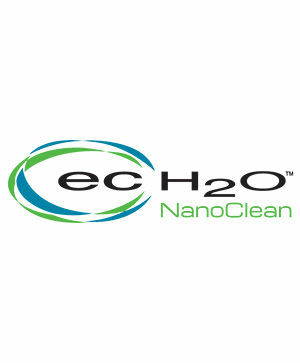 ec-H2O™ chemical-free cleaning technology provides effective cleaning results while leaving no chemical residue. Scrub up to three times longer with a single tank of water than conventional scrubbing. 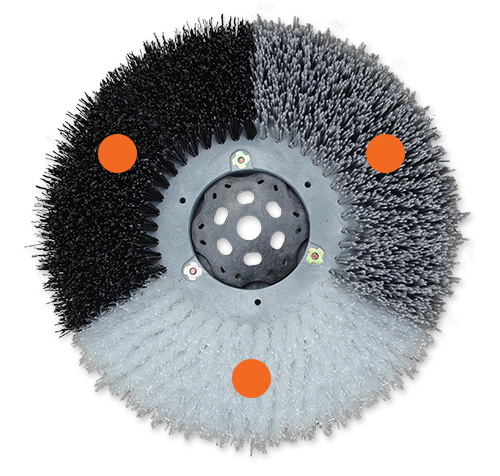 Maintenance-free scrub brush and propel motors keep your costs of operation low and provide a heavy-duty, low-maintenance scrubbing system and a powerful AC brushless propelling motor. 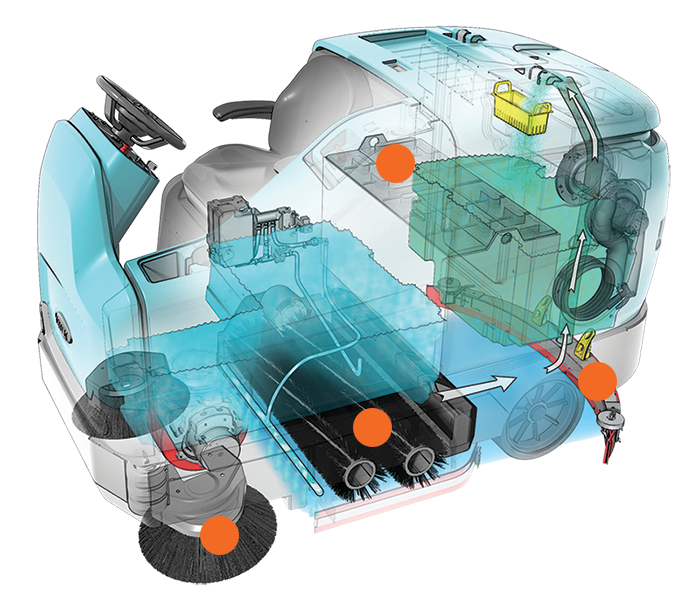 Clean 7-8 hour shift in economy mode on a single charge, with the largest available battery capacity in its class. Wrap-round steel bumper surrounds the entire machine to help protect your investment. Reduce risk of slip-and-fall accidents with ec-H2O™ technology certified by NFSI (US National Floor Safety Institute) for delivering a high traction floor surface when used. Eyes-forward operation with the Touch-N-Go™ control module placed in the centre of the steering wheel and car-like foot pedals provide easy operation when manoeuvring, allowing the operator's attention to face forward. Swinging squeegee provides excellent water recovery that delivers a virtually dry floor to help reduce slips and falls. Optional FOPS Certified Overhead Guard helps shield the operator from falling objects and debris.